I read the following quote, and I must say that I believe it’s 100% true. BEAUTY ISN’T ABOUT HAVING A PRETTY FACE. 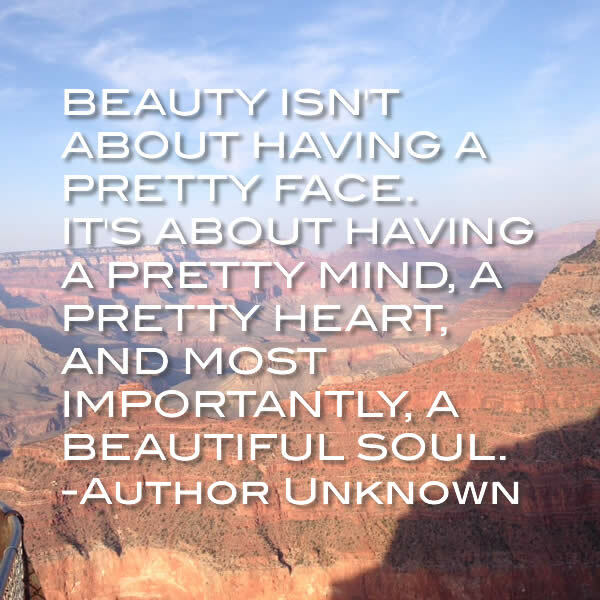 IT’S ABOUT HAVING A PRETTY MIND, A PRETTY HEART, AND MOST IMPORTANTLY, A BEAUTIFUL SOUL. A beautiful soul shines through. A smile. A hug. A laugh.